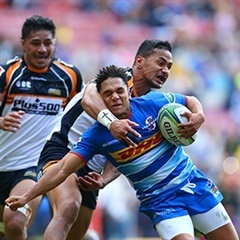 Cape Town - Stormers coach Robbie Fleck has praised his side following their commanding 41-24 win against the Rebels on Friday. It was the Stormers only win on their four-match Australasian tour, which has now come to an end, as they got themselves back into the Super Rugby playoff race. Losses to the Reds (24-12), Blues (24-9) and Hurricanes (34-28) had come before Friday and Fleck and his charges were under immense pressure to pull off something special against the high-flying Rebels. "We've been threatening the entire tour to put in an 80 minute performance which is what was required tonight," Fleck told media after the match in Melbourne. While the Stormers scored five tries on the night to go a long way towards easing the concerns over execution on attack this season, it was the defensive effort that pleased Fleck the most. "Today things went out way and the passes stuck, but it was an outstanding defensive performance," he said. "We knew what the Rebels were capable of on attack and we put them under pressure in our defence and our work rate. "The boys tackled for each other and they worked hard off the ball. That created the opportunities for us." The result means that the Stormers have now won four and lost four in 2019, but with their Australasian tour now over and with six of their eight matches so far this year having been played away from home, they will now look towards a good run of results at home to make a play in the competition. "It's massive for the boys to get on that flight knowing that we got a win on tour," Fleck added. The Stormers are next in action when they host the Brumbies at Newlands next week Saturday.